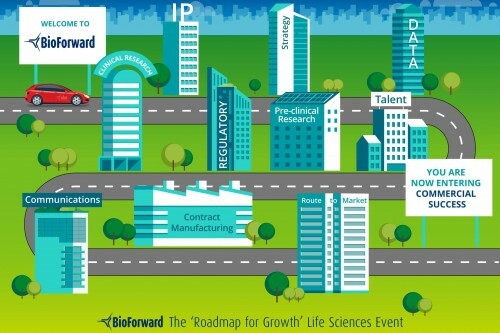 BioForward, 'The Roadmap for Growth' Life Sciences Event, is taking place from 8:00 - 18:00 on Friday 11 October 2019 in the Aston Webb building at the University of Birmingham. BioForward is aimed at professionals from early stage and emerging life sciences companies who want to gain the knowledge, skills, connectivity and support necessary to achieve commercial success for their organisation. "As an exhibitor BioForward allowed Q3 Analytical to meet a more diverse range of companies than at other meetings we attend"
"BioForward was an engaging platform to not only meet new people across the life science sector, but also provided a stimulating environment for discussion"
"Caught up with existing contacts and made some exciting new connections"
"Good environment to get up to date on industry trends"